Set aside a specific time to read a poem each day: when you wake up, over breakfast, during your bus commute, before bed. 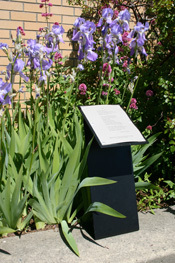 Listen to poetry: find CDs in the library or browse The Poetry Archive, Poetry Out Loud, Penn Sound, and find many more links to poetry audio recordings on the Library of Congress web guide. Try something entirely different with your poetry: rhyme it (or don’t), write a sonnet or a ghazal or a persona poem or whatever you’re least likely to write normally. Print out one of your poems that’s “finished,” cut it up into individual words and reassemble it into a new poem, getting rid of unnecessary words and replacing those that could be juicier. Do something new with your poetry: slam it, submit it, memorize it. Take a poetry workshop or class. When you’re spending money on poetry, support poets, indie bookstores and independent publishers. When you’re moved by a poem, write to the poet to say what you most loved about the poem. Take a resolutions workshop for writers on Sunday, January 3, 2016, at Village Books in Bellingham. Start or join a poetry group: reading, writing, critique, whatever. Resolved: to have a poetry-rich 2016. Best wishes for a new year packed with poetry! Thanks for your visits, your Likes, your Comments and your follows. We’re always happy to know you’ve paid a visit to the Boynton Blog. You were just talking about resolutions, right? Well if the New Year finds you determined to counter the sedentary nature of writing, the folks at Appnewser are watching out for you. Click on over to see their five free fitness and workout apps for the office. 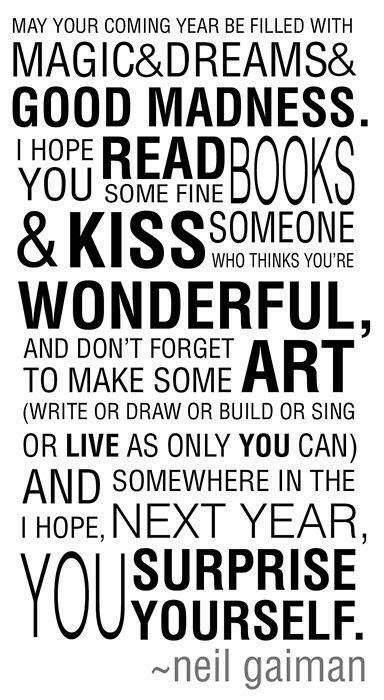 a very Gaiman new year! Sometimes, somebody just gets it right.